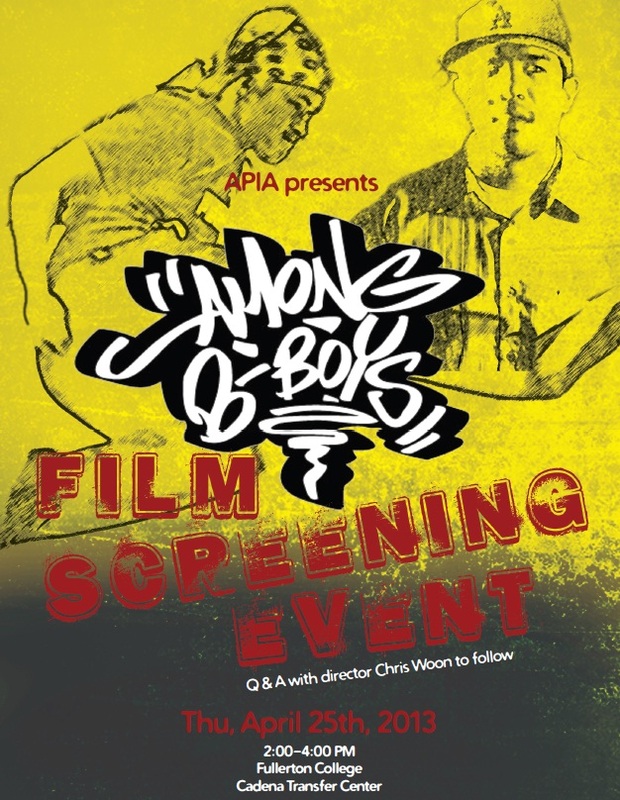 Among B-Boys is a documentary feature exploring the intersection between urban b-boying breakdancing and the traditional roots of Hmong culture. But instead of the usual generational conflict, Among B-Boys unveils a story of the modern and the traditional actually affirming each other, visually weaving between the older generation's memory of ethnicity and war and the younger generation's toprocks, footwork, freezes and power-moves. The movement began in the 1990s with the first wave of Hmong youth in the California Central Valley coming of age as Hmong Americans. Director Christopher Woon's short film documented a new movement of Hmong youth getting immersed in not only breaking/B-Boying, but also Hip Hop culture. 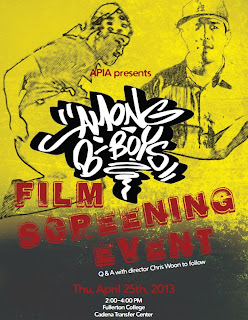 It has since become an hour long feature documentary focusing on two main story lines, that of B-Boy Sukie and the Velocity/Soul Rivals and twin brothers, Bboys Mpact and Villn of Underground Flow. The documentary takes us geographically from Merced, Fresno and Sacramento in the California Central Valley, to Long Beach, California to as far as Tulsa, Oklahoma. APIA would like to thank the Fullerton Foundation for its generous funding of this event.